Remember the days when scratch 'n' sniff stickers were a thing? I loved collecting them as a kid and now, whenever I can find them, I like to add them to my teacher stash. 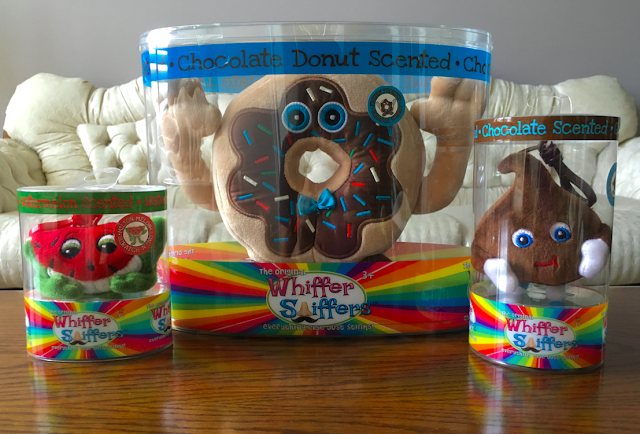 There's a certain nostalgia to scratch 'n' sniff stickers which is why I was curious to see what the Original Whiffer Sniffers were all about. 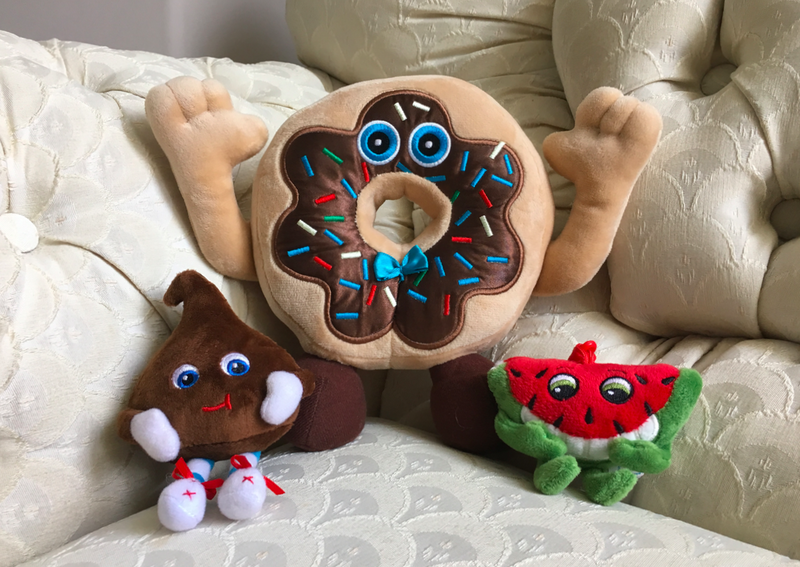 Recently launched in Canada, Whiffer Sniffers are cuddly scented plush characters and backpack clips with quirky personalities to match their scents. For review, we received a Milton Melon Backpack Clip and a Chocolate Chip Backpack Clip. They clip easily onto backpack, lunchbox or bag, and are a fun collectible to keep or trade with friends. Our favourite is the watermelon backpack clip. Each clip retails for $9.99 each. We also received a 12-inch Freddy Froster Super Sniffer. 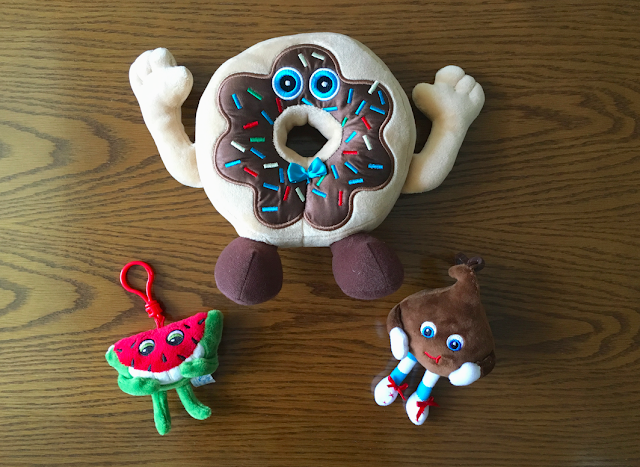 This adorable donut scented plush toy comes in a huggable size that kids will love. Super Sniffers retail for $19.99. All plush toys and backpack clips are packaged in giftable clear containers and are designed for kids ages three and up. Also available are Myster Packs that contain rare backpack clip-sized Whiffer Sniffers such as Sunny Pop and Jerry Pie, super rare gold bag characters that are a mix of two existing characters, or one of the other regularly sold Whiffer Sniffer characters. They are now exclusively available at Toys"R"Us. Disclosure: I received samples to help facilitate this review. Any opinions expressed in this post are my own. I remember, my granddaughters both have Bunnies with some sort of scent. I don't rember these but I know our girls would just love them! These are so cute! My daughter would love them, especially for hanging off her back pack! mmmm smells so good, must resist eating! These are so awesome, I haven't found any yet, but would love to get them for my grandkids!! I like the cute watermelon! These are cute! I don't remember these at all though!